EDI is a direct machine-to-machine communication which enables the automated exchange of documents, avoiding the need for manual processing, which is both time consuming and error prone. There are many benefits to using EDI in businesses of all sizes, operating in many sectors including retail, food, logistics, distribution, construction, manufacturing and many more. EDI with both their customers and ingredients suppliers. In fact, many companies insist that their suppliers trade with them via EDI. 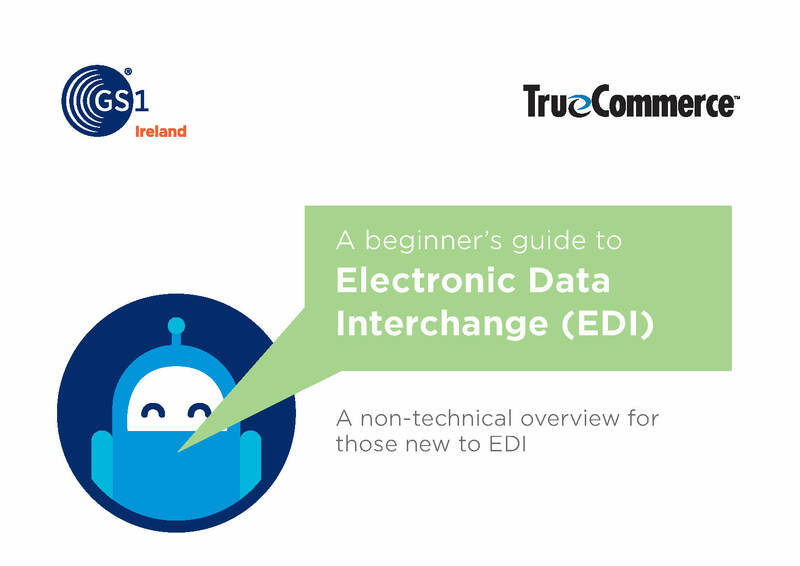 If you'd like to learn about some of the ways EDI could benefit your business, downoload our free guide today. Registered in Ireland as GS1 (Global Standards 1 (Ireland)). Co. No. 404327. A Company Limited by Guarantee trading as GS1 Ireland. Office Address: Second Floor The Merrion Centre, Nutley Lane, Dublin 4, D04 KF62, Ireland.